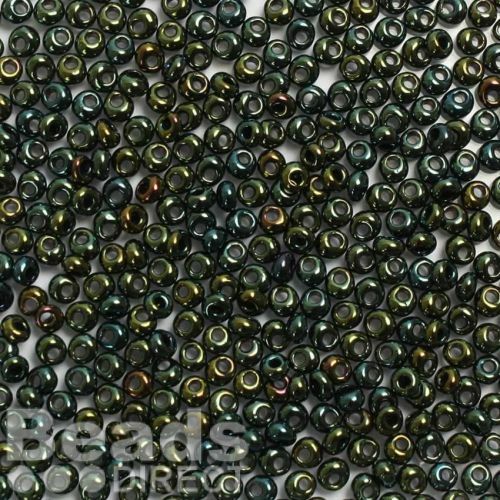 Metallic Iris Green/Brown Magatama 3mm seed beads. These stunning beads come in a metallic green/brown colour, their metallic finish adding a lovely shine in blue and gold colours. These beads have a hole just off centre, giving them a slight pendant look and they can be used instead of tear drop shaped beads. They are Japanese made Toho beads, widely known for being consistent in size and colour.